My research interests are in the areas of neuromodulation, in particular the application of neurostimulation-based approaches for the study and treatment of neurological and psychiatric disease. 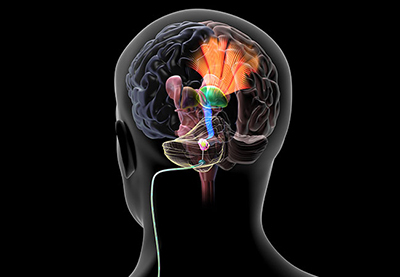 I am currently involved in studies of the neurophysiology of movement disorders, the therapeutic mechanisms of deep brain stimulation (DBS), and the potential of novel DBS approaches to improve treatment efficacy and outcomes in both Parkinson’s disease and stroke. My work involves experimental and clinical trial research in humans as well as preclinical trials using non-human animal models of disease. Many of my projects involve close collaboration with other neuroscientists as well as neurosurgeons, neurologists, radiologists, and/or biomedical engineers. A Cleveland Clinic research team has been awarded a $2.5 M grant from the National Institute of Neurological Disorders and Stroke (NIH) to further advance their pioneering work using deep brain stimulation (DBS) to enhance post-stroke motor rehabilitation.